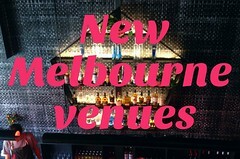 melbourne gastronome: Thailand (and KL) recommendations? My lovely travel companion and I are poised to flee Melbourne's winter for the warmer climes of Thailand's beaches for nine glorious days. Other than a few days in Bangkok I've never been to Thailand before, so am fairly ecstatic with anticipation (even if it means missing a week of MIFF). You have the try the chocolate and banana pancakes, they're at every street corner, can't miss them! Gosh I miss Thailand, oh the sun! in krabi, food isnt all that great, local flavours are tweaked to foreigners. in kl, theres heaps to go to. been to krabi and obviously live in kl. KL. Eat Bah Kut Teh. But I've been told there are many better. Costa Lanta resort/bar on Ko Lanta - very glam (no faux thai antiques, just cool minimalism) fabulous design, great bar! I would recommend Koh Lanta - very laid back lots of cool bars and restaurants. Phi Phi Island Village Beach Resort was really nice too and their Ruan Thai restaurant was brilliant. I'm just another one of your blog fans but had to leave a comment this time as I went on the same exact trip last year. I went on a trip to krabi,railay, phi phi and KL last year and it was amazingg. In Railay - don't forget to visit the hidden Phra nang beach which is beautiful at sunset. In Thailand we tried to order big lobsters and whole fish(in tamarind sauce) dish quite often as they're super costly here. In KL - check out Petaling St for its night market food..chaotic but yummy. Chilli crab ws finger lickin good. Far and away the best resource on Thai food I've found is photographer Austin Bush's food photography website http://www.austinbushphotography.com/category/foodblog/ . Ate my way around Bangkok and Mae Hong Son following his recommendations and exceedingly convenient Google Map and never had a bad meal. As per my above comment about KL - sorry I meant to say the open-air food stalls at Bukit Bintang, not Petaling St. I never thought I'd recommend this sort of thing, but the Madam Kwan chain (Pavilion Mall, at the far end of Bukit Bintang), also some other malls is an interesting study in very reliable local dishes. The prices are shockingly high (ie, cheapish, but 3-5 times the hawker price), but the quality is good and execution is restaurant-style. At first I didn't "get" the idea of local dishes in a stylish chain restaurant, but then a local explained the attraction of a stylish "safe" food environment. I was also surprised to find that the upstairs food area at Central Market was not only very popular with office workers at lunchtime but some of the food was quite good. Although some of the hawker streets can be popular and buzzing (eg, near Bukit Bintang), the quality can be very unpredictable. Best to go with a local who knows specific places. KL - Jalan Alor in the city for hawker-style food. Petaling Street is a day-market for shopping but you can get food there as well. For drinks, if you like roof tops, check out Luna Bar at Menara Pan Global or Sky Bar at Traders Hotel. Alternatively, there's Gosh, Vanity Mansion or Elysium down on Asian Heritage Row. if you feel adventurous, go by Bangsar One and Bangsar Village. I'm going to KL too in a week's time.. yay!! Face is great for the experience and the food stands up to the test as well. Oh you lucky thing I just got back from Railay about two weeks ago! There is a little hawker-style restaurant on the swampy side of the island. I had a curry so hot that it was almost a religious experience but so tasty! Be careful of the long island ice teas at Skunk bar too - dangerous! I'm particularly happy that you've asked for advice from your readers because i'm going to Thailand and KL in September so I could use some advice too! 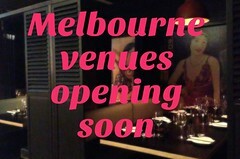 Big thanks for sharing your Melb food love with all of us. Some of my faves that i've visited because of you are: Porgie +MJ, Tutto Bene, Pizza Meine Liebe (OMFG! ), i Carusi 2, Xiao Ting Box....etc! The Hokkien noodles look good in KL. On Austin Bush's blog, read this post - http://www.austinbushphotography.com/2010/02/where-to-eat-in-bangkok-2010.html - it outlines his recommendations for a first timer in Bangkok. for authentic cheap seafood go to port klang or lala chong. or perhaps changkat for drinks? will you be there during the fasting season? if you are you must check their daily food markets at various locations intended! Oh, why I am also heading to Krabi in a few days! If I happen to spy you there, I will be the strange girl coming up and saying hello to you :-) Enjoy your holiday! I have been following your blog for a little while. Being a Malaysian I'll definitely recommend you going to Jalan Alor (I'm sure you'll find it exotic, eating by the roadside). it's not too far away from Bintang Walk or even KLCC.